Conceals what your want to hide and blends seamlessly into what your don't. Ultra pigmented and in 18 skin-true shades, the Revolution Pro Full Cover Camouflage Concealer creates lasting maximum coverage for all skin tones. Explore the entire range of Concealer available on Nykaa. 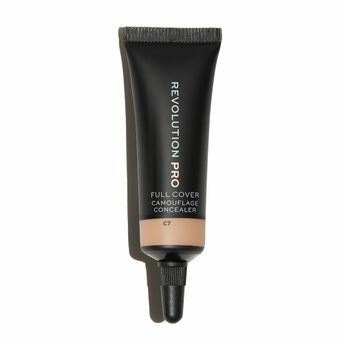 Shop more Revolution Pro products here.You can browse through the complete world of Revolution Pro Concealer .Alternatively, you can also find many more products from the Revolution Pro Full Cover Camouflage Concealer range.